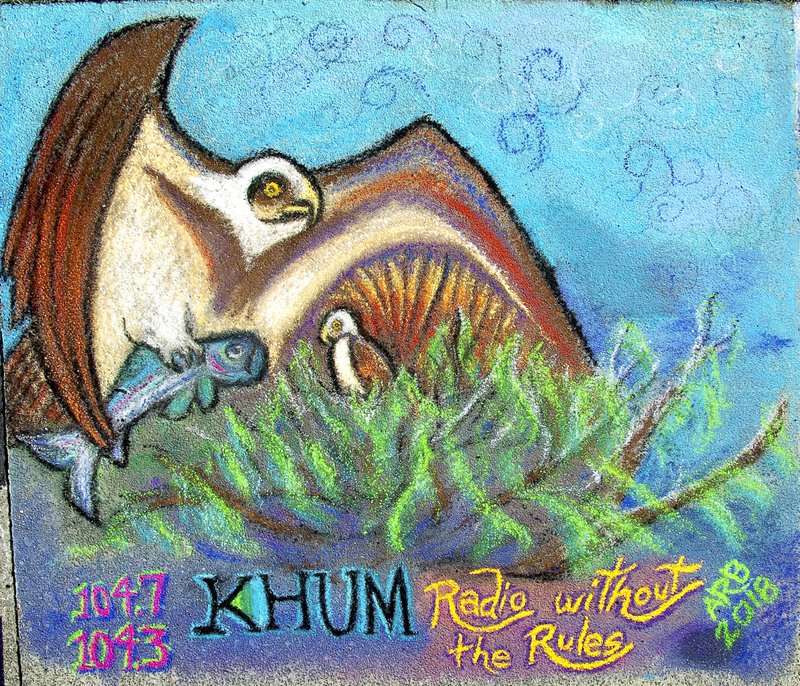 Once again, Amy has done another outstanding square for KHUM at Pastels on the Plaza. 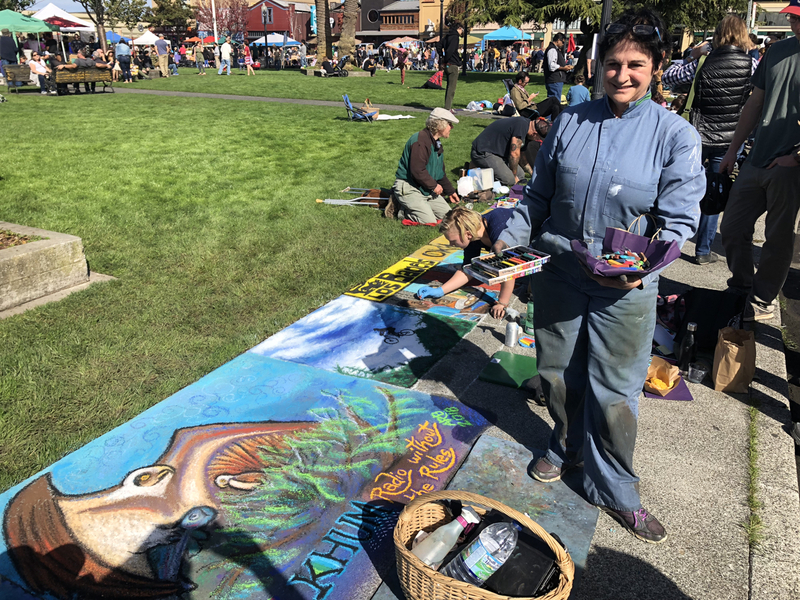 KHUM has been a sponsor of this event for North Coast Children's Services since 1996, and Amy has done our square every year. This year's square was inspired by a family of Osprey that nested in our back yard this past Summer.